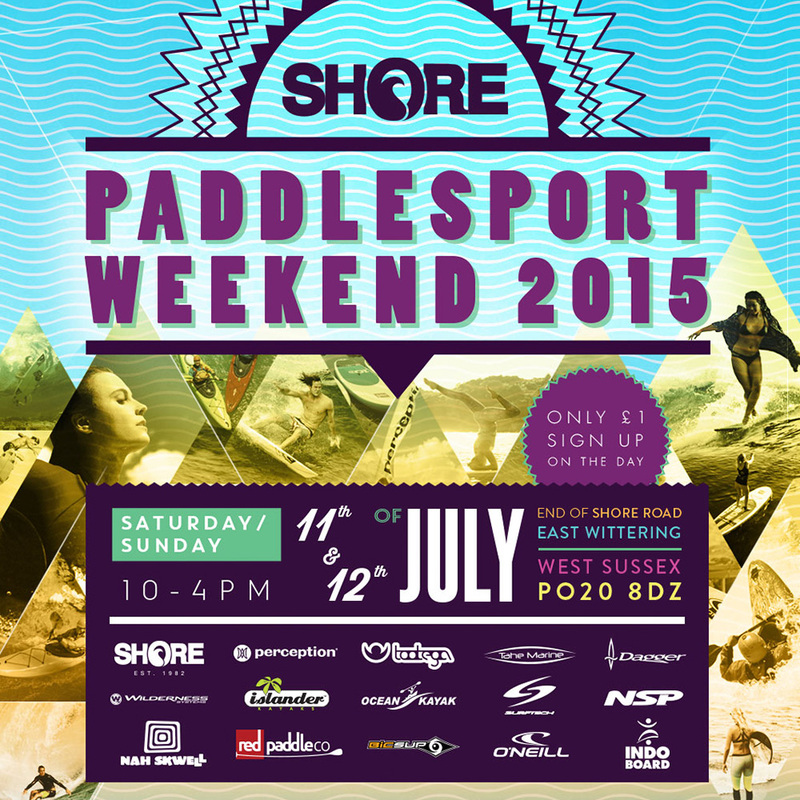 It’s that time of year again for The Shore Paddle Sport Weekend. This year is running the weekend of the 11th – 12th July from 10am until 4pm each day. For 2015 we have taken the event to the next level. We will of course have all our hardware brands with an extensive range of all the paddle sport equipment to demo. Alongside the demo of the gear there will be loads of display gear so you will be able to chat to each brand about their range and they will be able recommend the products to suit your needs. Also kayak lessons will be offered at a greatly reduced price. But wait…. the fun doesn’t stop there, on the Saturday evening Oneill are setting up an outdoor cinema outside the store. So grab a bean bag, pull up a chair and enjoy some live music and viewing of some classic surf movies. This year we have also linked up with the charity Laurence-Moon_Bardet-Biedl Syndrome (LMBBS) http://www.lmbbs.org.uk/. So for everyone getting involved there will be a £1 charge which goes directly charity. Perception Kayaks – Need we say more, Perception are the market leaders when it comes to sit on top kayaks, they will have one of more of every boat in the range for you to try. Dagger White Water and touring Kayaks – Come and try some of the best sit in kayaks on the market including the brand new Katana Cross Over Kayak in both white water and river specs. Wilderness Sit On Top Kayaks – Will have the full range of premium sit on top kayaks the full much loved Tarpon range plus some of their new bigger boats coming across for the US market. Tootega Sit on top kayaks – New to Shore this year, Tootega are reasonably new to the market kicking things off back in 2010. But already getting known for making premium quality boats and some great models to suit everyone’s needs. Fluid Adventures – Never been kayaking? This year we have linked up with fluid adventures to bring you kayak lessons these will be run throughout the day both days at a £5pp. Nah Skwell – Will be down with us with there a really good selection of SUP boards and the paddles for you to demo. Some new models in the range for 2015 and some wicked new update to the look of the boards. Tiki Surfboards – Will be bring down a range of SUP’s for various shapers including the much loved NSP range. They will also have a few surfboards just in case there is some surf. Red Inflatable Stand Up Paddleboards – Well what can I say here, Red and leagues ahead of the rest when it comes to inflatable SUP’s. Not only did they invent it but they keep pushing to improve the range. 2015 has seen some really good new models the 11’ Sport is killing it bridging the gap between flat water touring and playing around in some small waves. The full range will be available to try so get down early as these are always very popular. Surftech Surfboards and Stand Up Paddleboards – It’s great to have Surftech back at the demo weekend as they offer some of the best racing and surf SUPs on the market. Also make sure you check out the new technologies they will be demoing in there surfboard ranges. O’Neill Wetsuits – Of course, this year Oneill are upping the game and have added this date to their European tour bus road trip. They will of course be lending out the latest and warmest suits on the market. But they will also be organising SUP races with winners receiving new suits they will have some of their pro’s riders on hand to help you with your performance get you surfing and paddling better. In the evening of the 11th July the Bus will be moved outside the store and there will be live music and an outdoor cinema setup playing classic surf movies, so grab a bean bag sit back and relax. Indoboard Europe – The only land based activity but by far one of the most popular among the kids. Come test you balance out.